Stamoules Produce Company is a business that satisfies the need for fresh and quality produce. Stemming from the cantaloupe center of the world, customers are assured that they are buying quality cantaloupes, honey dews, and mini watermelons to gratify their taste buds; and sweet corn, broccoli and bell peppers to complement any recipe. 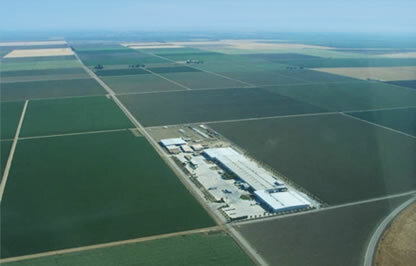 With the help of many well crafted ideas, use of underground drip tape and a Full Safety Program for the cooling facility, Stamoules Produce Company has been a successfully family operated business in Central California for more than 80 years. Their yearly practice is to exceed customer satisfaction with an increase in production efficiency to rise above competitors year after year by growing, packing and selling fresh and healthy produce for distribution throughout the United States, Canada and Mexico. Website © 2009 Stamoules Produce Company. All Rights Reserved.